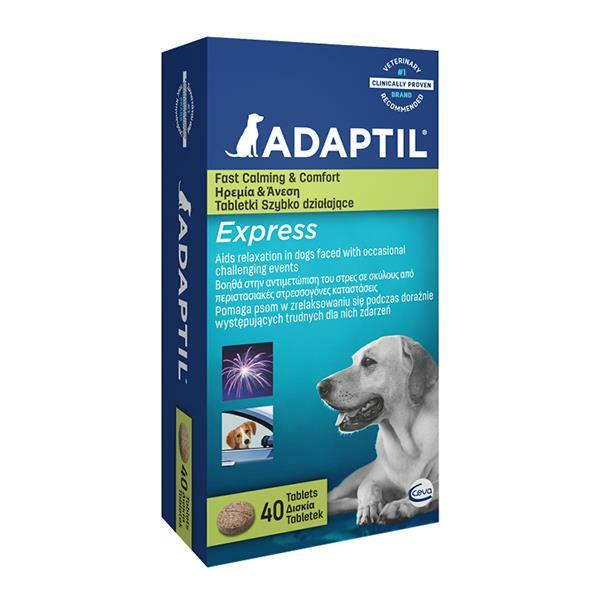 Adaptil Express Tablets - 40 Pack offers fast acting stress relief, which have been proven to quickly help improve the signs of fear. These non-pheromone calming tablets contain natural ingredients that can be used to support dogs during stressful events and facilitate relaxation. Adaptil Tablets are a unique combination of GABA, L-trpyophan, L-theanine and B- vitamins (B1, B3, B6, B8, B12) that provide fast and temporary relief.